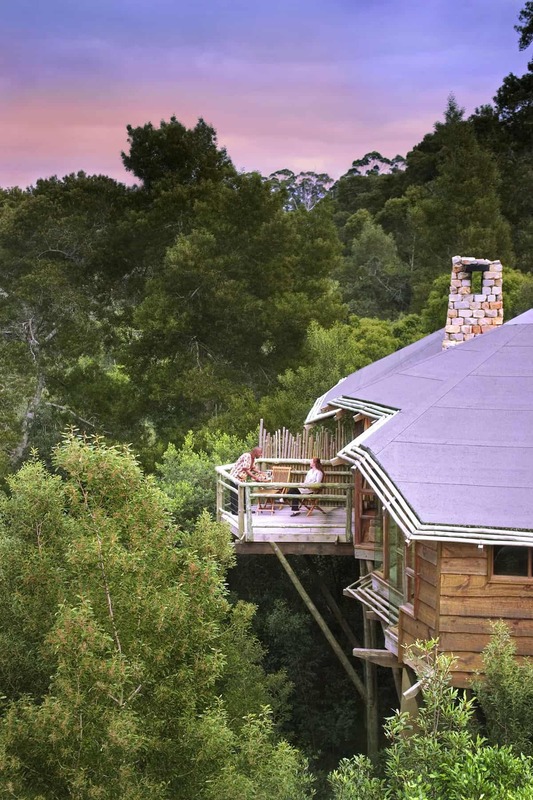 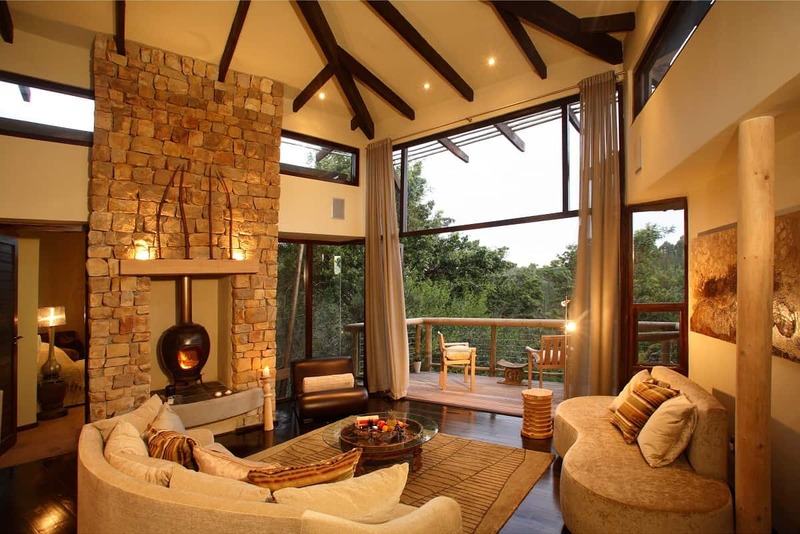 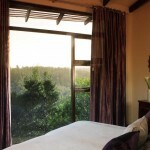 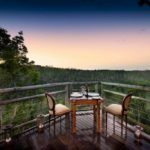 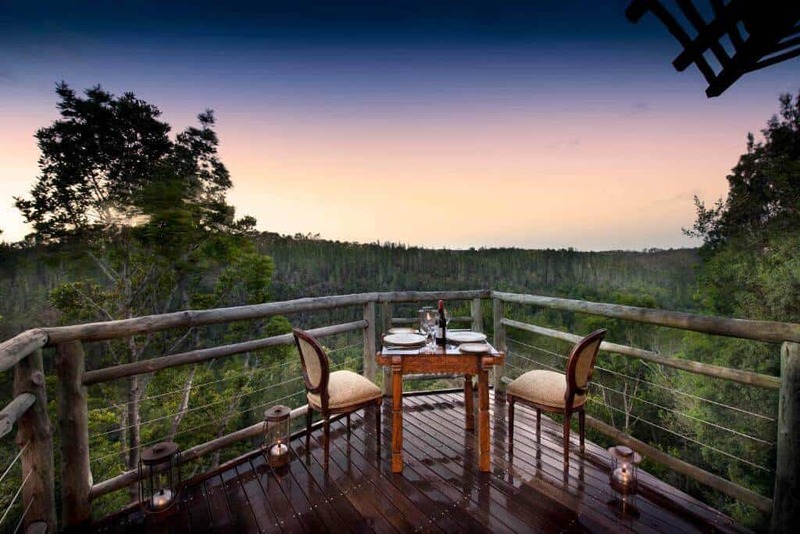 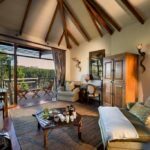 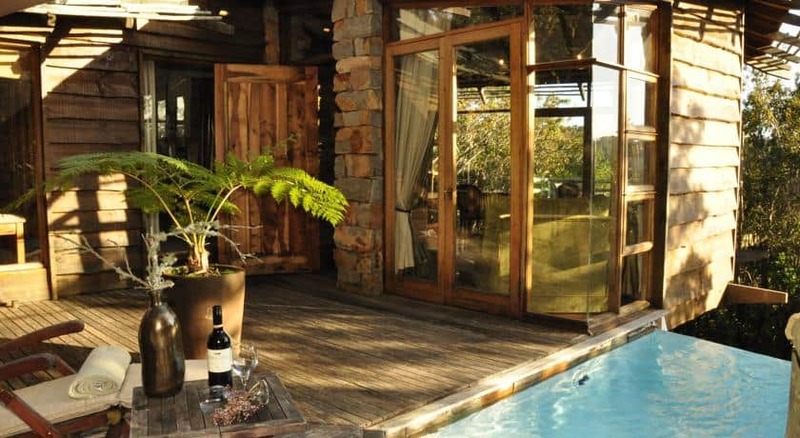 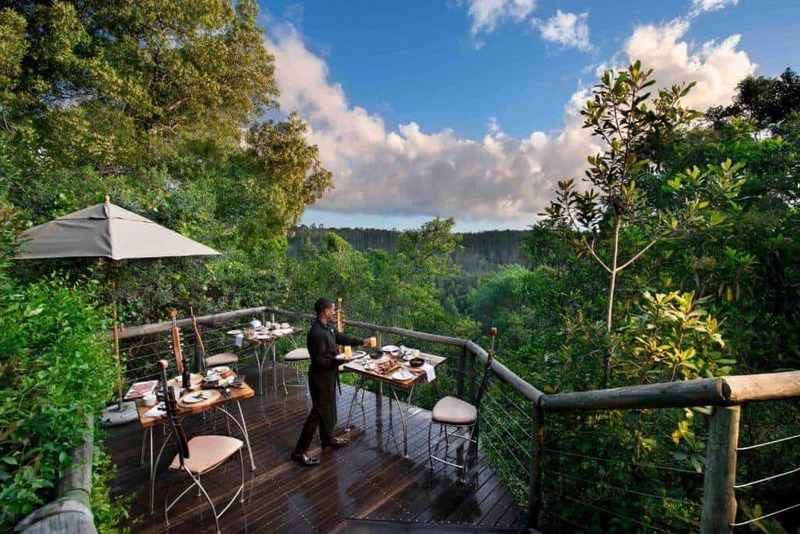 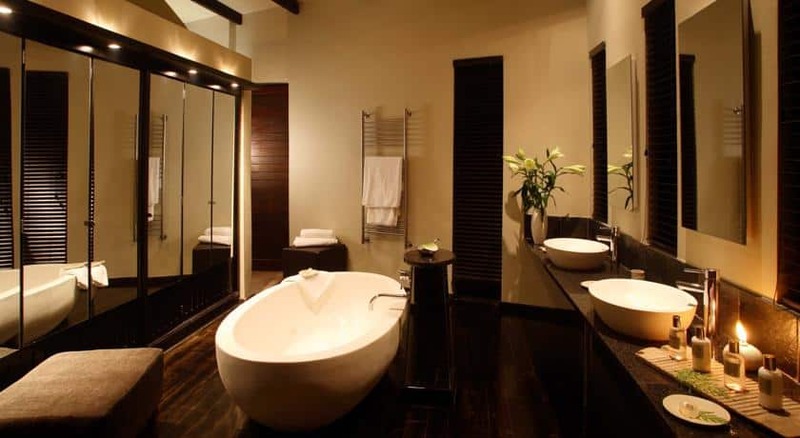 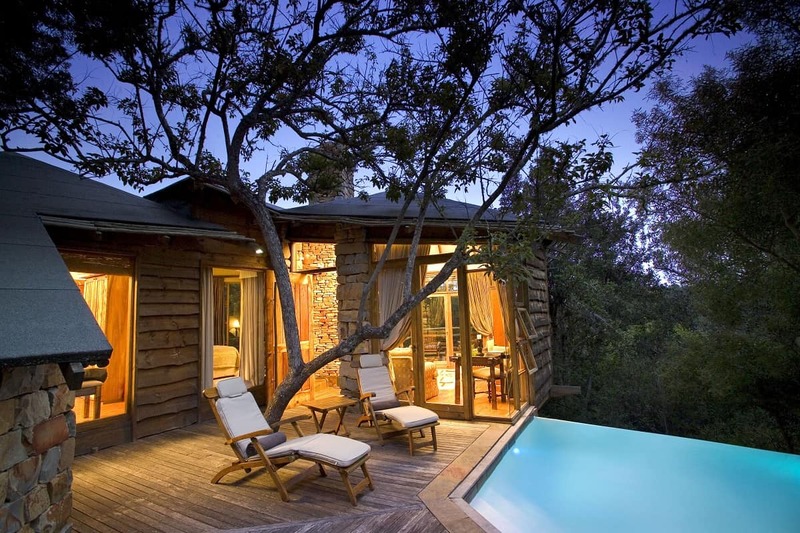 Nestled in the heart of an ancient indigenous forest, between South Africa’s coastal towns of Knysna and Plettenberg Bay, Tsala Treetop Lodge is an architectural gem encircled by lush forests extending across rolling valleys towards the distant hills, with every inch oozing African culture and mysticism. 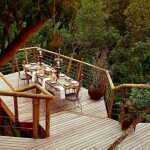 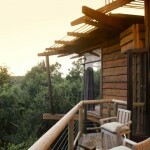 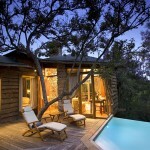 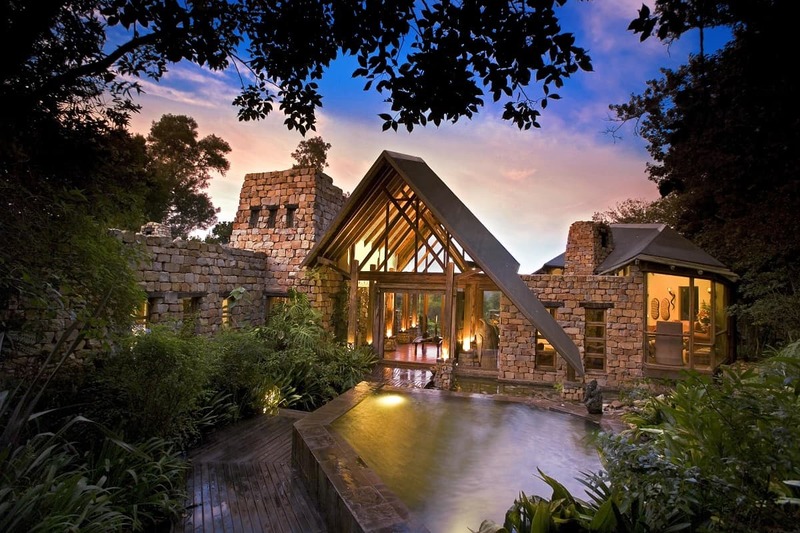 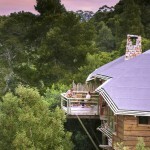 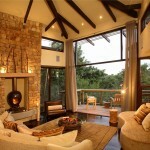 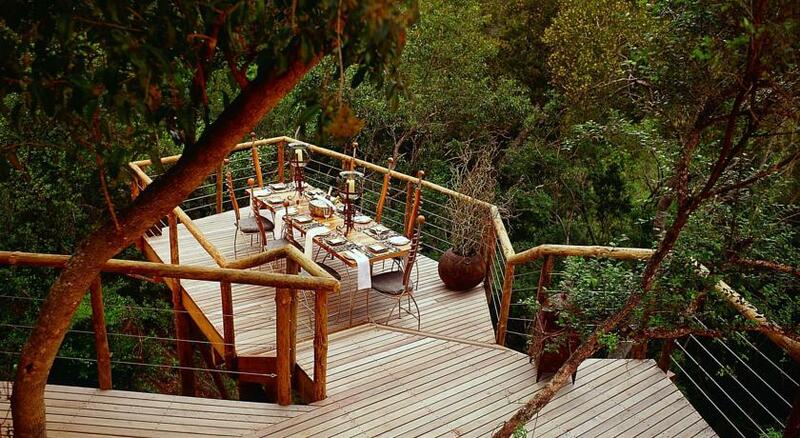 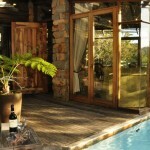 The Tsala Treetop Lodge can be booked here. 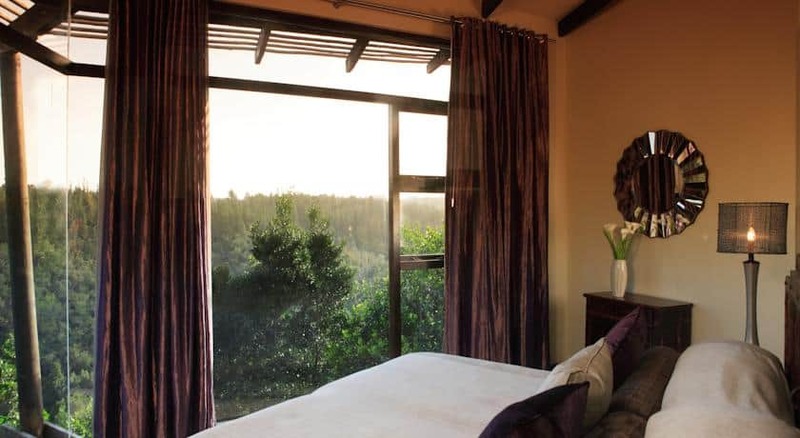 Lock in a great price today for your upcoming stay and get instant confirmation with FREE cancellation on most rooms with booking.com. 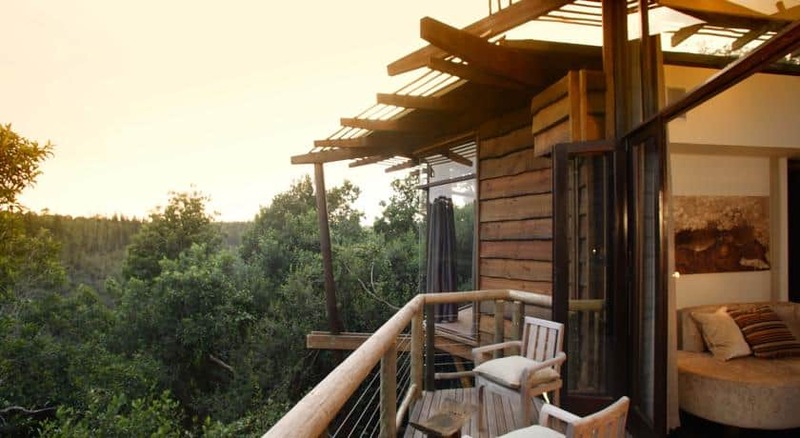 Accommodation is offered in 16 gorgeously designed treetop suites tucked into the forest canopy: The Treetop Suites consist of 10 luxury hide-away tree-house suites with private infinity pools, fireplace, a spacious bathroom and a private deck extending into the forest. 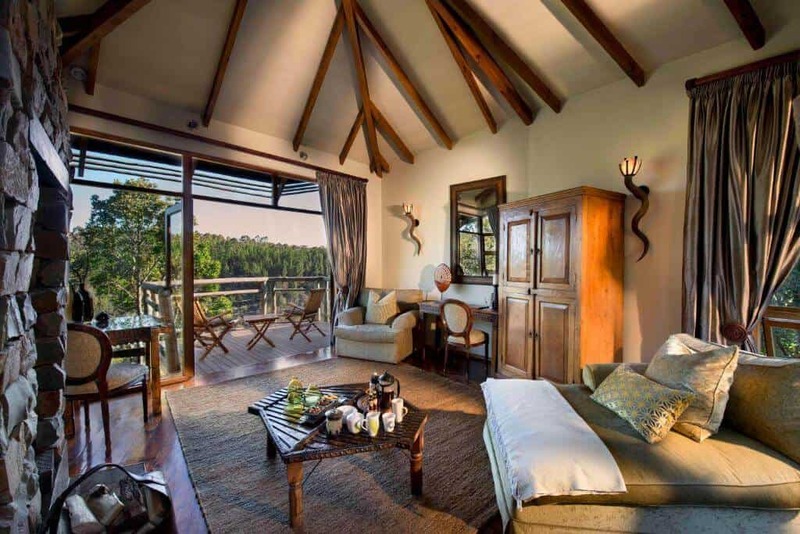 The Treetop Villas offer 6 elevated two-bedroom villas built above the treetop canopy, with outdoor and indoor showers, private deck, infinity pool, lavish decors and magnificent forest views. 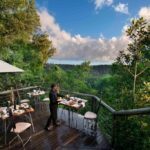 Dining is equally thrilling, incorporating a unique mix of inspiring venues and hearty dishes rich in regional flair.